Alicia Cervera Lamadrid, Bernardo Fort Brescia, Alicia Cervera, Veronica Cervera Goeseke, Alicia Lamadrid, and Alexandra Goeseke. UPDATED, April 8, 6 p.m.: Cervera Real Estate announced that Sandra Masis was its top producer last year in general real estate sales, with $1 million in commissions. The Miami-based brokerage also honored The Juliao Group (Aston Martin Residences Miami) as its top producer in development sales last year. Cervera agent Danet De Leon, Aria on the Bay ranked second in development sales last year for Aria on the Bay, and Jennifer Behar Cervera and Yanet De Castro ranked third for sales at Elysee Miami. Krista Richman (Ocean Resort Residences Conrad Fort Lauderdale Beach) was the fourth top agent. The top producers were honored Tuesday during an event at East Hotel in Brickell City Centre, which also marked the start of the brokerage firm’s 50-year anniversary celebrations. 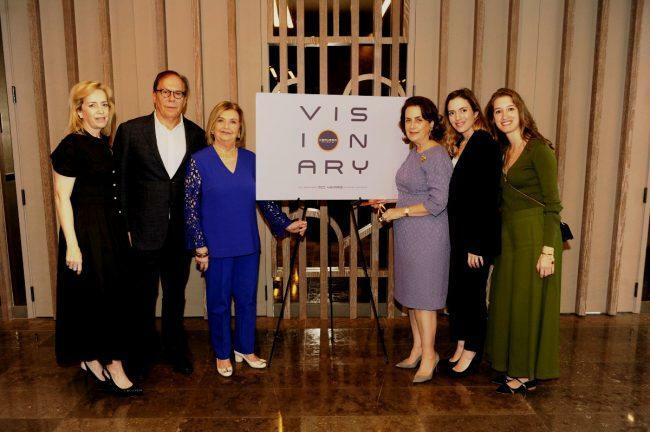 Two principals of the brokerage, Veronica Cervera Goeseke and Alicia Cervera Lamadrid, told guests at the event that Cervera Real Estate will remain an independent, family-owned brokerage despite a wave of mergers in the residential brokerage business. The firm introduced a new online platform called Cervera Marketing Center, which will provide agents with research, marketing tools and a new cloud-based social media content calendar. Correction: A previous version of this story had an incorrect order of winners in development sales due to incorrect information presented to The Real Deal.